No refund on balance if cancelled within 4 weeks of arrival, or reduction in numbers. Cancellations required in writing. To avoid noise complaints no drinking for groups on the premises. Quiet zone in Atrium area 9pm-8am. Groups of more than 10 pax are subject to a 30 day 100% due cancellation policy. Cancellations must be emailed. Daumen hoch von uns wegen durchgehend hoher Gästebewertungen. 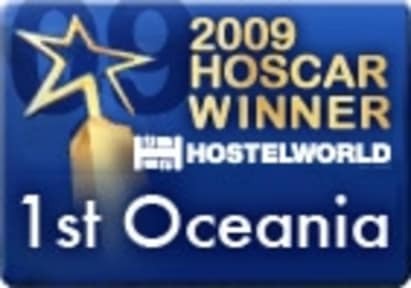 Jailhouse Accommodation was rated #1 in New Zealand and Oceania at the 2009 and 2013 Hoscars, and it's not hard to see why. 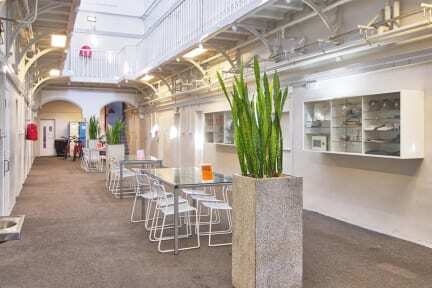 This quirky, clean, comfortable and quiet hostel is set in a historic former jail. It's located about 20 minutes' walk from the Arts Centre, Christchurch Art Gallery, Canterbury Museum and the Botanic Gardens and is surrounded by a variety of bars and cafes. We like their friendly and very helpful staff, who have a great knowledge of the area. Als naechstgelegenstes Hostel zum Bahnhof ein idealer Platz zum Verweilen fuer TranzAlpine- und TranzScenic-Reisende.Wir laden Sie ein in unserem liebevoll restaurieten Kulturerbe zu Uebernachten. Unser Hostel hat eine bewegte Vergangenheit als ehemaliges Addington Gefaengnis und bietet nicht nur Ruhe und Erholung sondern auch viel Spass. Wir bieten Ihnen in unserem Hostel moderne Einrichtungen zu Budget-Preisen. Durch einen Sicherheitsschluessel haben Sie 24h Zugang zu Ihrem Zimmer. Sie werden keinen saubereren Ort zum Uebernachten finden. Sie koennen aus unseren ueber 30 Privatraeumen zwischen Einzel-, Doppel- und Zweibettzimmer waehlen. Einige groessere Raeume sind ausserdem geeignet fuer Familien oder Gruppen. Bereiten Sie sich in unserer neuen Gastkueche eigene Mahlzeiten zu. Wir sind zentral zu Hagley Park, TranzAlpine und Court Theatre, AMI Rugby Stadium, Horncastle Arena, welches viele Konzerte und Messen beherbergt. Das Stadtzentrum ist zu Fuss oder durch eine kurze Busfahrt zu erreichen. Kostenfreies Parken ist ebenfalls moeglich. The jail atmosphere and look is really cool. The staff is very friendly, the kitchen and bathrooms are clean. The hostel is a 25 minutes walk away from the city center - it’s doable :) The beds are very comfy and even the 10 bed dorm is really calm. Great Hostel, it was my 2nd stay here. Love the building! Bikes for rent are a great idea! Sehr schönes Hostel, es war perfekt für uns. Something different to stay in a jail cell, but it was great. WiFi is poorly available in the cells because of the thick walls but that wasn't to bad. There are also two show "cells" because it really was a jail in the past. We had a bedroom with two beds and an own TV. If you are in Christchurch stay a night it's a great experience. Lovely building with a great atmosphere, bikes for rent, bus stop in front of the building. The perfect place, if you want to take the coastal pacific train the next morning. Auf jeden Fall mal was ganz anderes, in einer Zelle zu übernachten. Die Location ist einfach wirklich einzigartig.